Business owners often find themselves ensnared in payroll tax controversies. These controversies often arise from the late payment of payroll taxes or classifying employees as independent contractors rather than employees. There are several settlement initiatives that can be helpful in these cases. 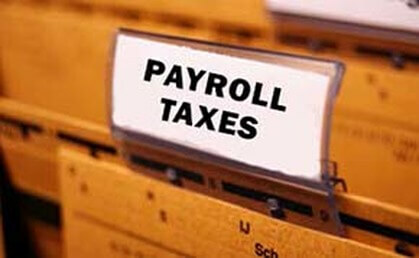 In other cases, payroll tax controversies arise where the employer fails to withhold or remit the payroll taxes to the government. This often comes up when a business is struggling financially. By withholding but not remitting payroll taxes to the IRS, the business has in effect taken out a loan from the government without the government’s consent. Regardless of the cause, failing to timely pay over payroll taxes can result in penalties and interest in excess of the initial tax that wasn’t paid. Our tax laws give the IRS broad powers pursuing businesses that have unpaid payroll tax liabilities. The IRS uses these powers and is particularly aggressive in pursuing businesses for unpaid payroll taxes. This can put business owners in the position of having to shut down or sale their business, resulting in loss of employment and benefits for employers and employees and their families and loss of a hard-won business reputation. If that is not bad enough, the government may be able to pursue the business owner personally for the business’s unpaid payroll tax liabilities. Many payroll tax problems stem from the mis-classification of employees as independent contractors. There are significant economic advantages for classifying employees as independent contractors. For example, employers do not have to pay Social Security, Medicare, and state and federal unemployment taxes for independent contractors. Besides the tax incentives, employers may favor independent contractors because of the reduced overhead, qualified employee benefit plan participation rules, or liability associated with independent contractors. Unfortunately there is no bright line rule for determining whether a new hire is an employee or an independent contractor. Instead there are at least three different sources of law that employers must consider. Specifically, employers must consider: Revenue Ruling 87-41, our common law which is created by various courts, and Section 530 of the Revenue Act of 1978. Unfortunately it is often not a simple matter to apply these sources of law to any one employer/employee relationship. To help reduce this uncertainty employers are able to request a determination from the IRS as to whether a new hire qualifies to be treated as an independent contractor. Absent such a request employers face the prospect of a disgruntled independent contractor either taking the position that they were an employee on their tax returns or the contractor asking the IRS to rule that they were an employee. In those cases business owners are put in the position of having to go back and prove that the employee was actually an independent contractor. In many cases this is difficult to do without the cooperation of the independent contractor. This often results in the employer being held responsible for significant payroll tax liabilities. 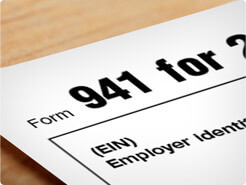 In some cases the employer may qualify for the IRS Collection Settlement Program, which permits employers to admit that the independent contractor was an employee and the employer is only liable for one year worth of payroll taxes. Employers often try to avoid payroll tax problems by executing written non-employment agreement contracts. For the most part these agreements have proven to be inconsequential if they do not mirror the true nature of the business relationship. Therefore such agreements should be used as a tool for structuring the business relationship, for highlighting the factors that support independent contractor status, and for downplaying the factors that support employee status. An experienced tax attorney can help you understand your tax obligations for your employees and help resolve your payroll tax problems. An experienced tax attorney can also help you review and structure your employee and independent contractor relationships so that your business does not run into these types of payroll tax problems. Using a Subchapter S Corporation to Reduce Payroll Taxes for a Sole Proprietorship or Partnership?